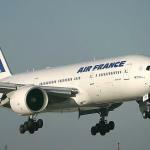 Air France promo sale: Non-stop Paris to Worldwide destinations €280! Good opportunity for travelers in France to book discounted return flights to chosen destinations during latest Air France promo sale. This time you can book attractive flights from Paris. Choose discounted deals to Caribbean or North America such as to Guadeloupe, Martinique, New York, California or Vancouver. In Africa you can visit South Africa, Uganda or Cameroon and in Asia the most interesting offers are to China, India or Bangkok. The cheapest return flghts are available already for €280. More details are available simply refer to our deals or check link below. Fare is for a round-trip flight including all taxes and fees but excluding checked-in bag on routes to North / Central / South America or Caribbean.. In some cases you would have to travel out ot classic main tourist season (e.g. Central America is available from March to June…Otherwise you can find discounted deals with Air France from April to June or September to November 2019. Blackout period around Xmass or Summer Holidays. Simply follow the link and compare all travel options there..Latest promotion with Air France is available till 1st of April 2019. (Or until the cheapest deals last..). Booking sample of discounted direct tickets during latest Air France promo sale: Non-stop from Paris to Worldwide destinations from €280! Your outbound flight to New York from France would be on 12th of May. You would return non-stop from this destination in North America back to Paris on 26th of May 2019.